Just fill out your information below and we will email you your gift immediately. Thanks for coming by! Our Mission is to provide a service that creates a Healthy & Happy Environment inside and out! Find a local iV Bars near you and schedule your iV Today! Explore our incredible blends! But first, check out our Specials! Reviews from just a few of our incredible customers. In 2015, iV Bars® not only launched a new product, it created a whole new product category. From day one, iV Bars® has been making people’s lives better, setting milestones in sports and culture. If you are new to the concept of Intravenous Vitamin Administration, you might be wondering why you’re suddenly hearing so much about it. Why is it being relied upon by professional athletes and CEOs to Mothers with four kids? We created an environment Most importantly for individuals seeking to support their overall health and well-being. Intravenous Vitamin Administration represents an exciting new world in allowing us to help a wide variety of vitamin deficiencies and much more. Just check out our cocktails! A Mission For The Health of It! Inspired by the early works of Dr. Myers, Aaron Roberts, founded iV Bars® in 2015. He assembled a world class team of physicians, biochemists and physiologists to create the formulas and developed the unique marketing concept of iV Bars®. In 2015, on June 1, iV Bars® was sold for the very first time in its home market of Dallas. This was not only the launch of a completely new product, in fact it was the birth of a totally new product category. Today iV Bars® is available across the USA. In terms of further expansion, iV Bars® is targeting the world! "My family noticed the difference instantly when we were all together. I'm 46 years of age and had been looking into this for a couple of months, however with work, etc. finding the time wasn't available! I scheduled an appointment, came in and was greeted professionally. I walk through the different regiments of what they had to offer. I chose the performance Cocktail and the Liver Cleanse. Instantly, I felt a change! The energy, focus, drive and over all feeling was amazing. "The best part, is the availability. They want to make sure, you get what you need. Can’t get that, anywhere else. It’s my go to place, before any game. Friendly, kind, and, caring staff. They explain where vitamins come from in detail, which was a bonus for me (I don’t trust the fitness industry). Much love! "I'm not going to lie, I'm usually a flincher, but she was such a good stick that I barely felt the needle go in. She is so sweet and professional, I felt like I was in the best of hands! It’s my go to place, before any game. Friendly, kind, and, caring staff. They explain where vitamins come from in detail, which was a bonus for me (I don’t trust the fitness industry). Much This place is awesome and a lifesaver. I indulged a little too much on the 4th of July and had to teach a challenging fitness class the next day, so I decided to make an appointment for my husband and I to get an IV. I could not have had a better experience! The massaging chairs are awesome and so relaxing. Oh and that giant furry blanket they give you if you're cold is the best thing ever!! Kareem the fireman/paramedic did our post IV vitals and bandaging and he is such a nice person as well! Everyone who works here is great! You can tell they absolutely love working there. I taught a great class thanks to the energy boost from that Performance IV. Go see iVBars of Addison, you will not regret it!love! "The IV cocktails are top notch, and they can add other desired nutrients for an extra boost. Just tell them your goals, and they will help you achieve them. The nurses and staff are so friendly and accommodating. The 'bar' is cozy and relaxing with comfy chairs with ottomans. There is water or coconut water to keep you hydrated, and blankets to keep you warm. Tariq even called us the next day to check on us. Impressive! Military and law enforcement discounts too. We will return. "I suffer from dehydration which Leads to debilitating migraines. This place was such tremendous help! I walked in not knowing what to expect. The nurse was fantastic we chatted the whole time and I think I left this place skipping after I walked in lethargic! Such great service! Definitely going to see how I can budget to come back more often. I feel brand new! "The physician ruled out strep or anything bacterial. I received the immune booster with extra hydration and my throat is already feeling much better.s help! I have had an extremely sore throat, like razor blades, for an entire week, with post nasal drip, and just all around weak and yucky (medical terminology) feeling. It was quite relaxing in the recliner with a warm fluffy blanket and essential oils diffusing. The entire staff was extremely professional and friendly. It was a great experience!ack more often. I feel brand new! I was so sick Monday and Tuesday but trying to avoid missing work and taking more steroids. (Those things are just awful) I had a bronchitis level cough (rib breaking if your not familiar with bronchitis) and a low grade fever. I went into the IV bar Tuesday night after work and got set up with the immune booster and hydration pack. Sheila and Jinny were able to get me set up and cozy for the 30-45 minute IV. After the IV, I did an Ozone treatment which isn't necessarily fun but it works! Within an hour of being home, miracles began to happen. I was breathing a little easier and coughing slightly less. I called it an early night and woke up the next morning ready for the day. My husband truly thought I'd stay home from work to head to the doctor but NOPE I was all good. I had recovered by at least 80%. I went for one more Ozone Treatment Wednesday at lunch. (Those only take about 10 minutes) My cough was no longer wet, or deep and I was down to only coughing every few hours instead of minutes. We love staying connected in our local communities! Enter your zip code and get your vitamin drip on! For the frequent flyer, the mother of 4, elite athletes & everyone in between. Enjoy the benefits of 50% off all of our cocktails. We aren't just local, neither is your membership! Enjoy the perks at all iV Bars. Deals, Early News and More! We look after our members. 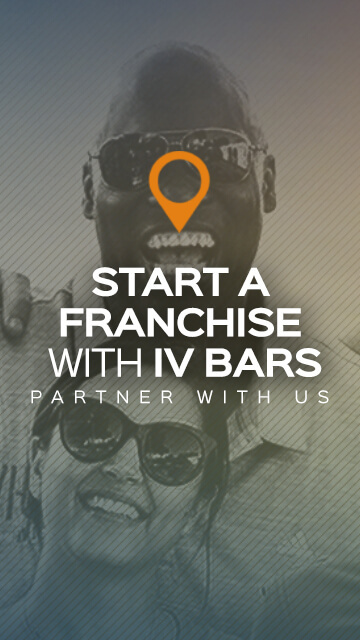 We promise to deliver the best service, care & love at all of our iV Bars Across the Country. The highest caliber of service you will find in this industry. Your Health. Your Happiness. Your Trust In Us. These are of iV Bars highest priorities. Our business is here to serve, not here to profit! We have a stringent hiring process allowing us to only select the best of the best. Our well paid staff is committed to providing the utmost care in your iV Bars experience. No Other Competitor offers as many iV recipes. Yes, you heard that right. We are the leading name in everything iV Drip with the team of doctors & scientists formulated our recipes. 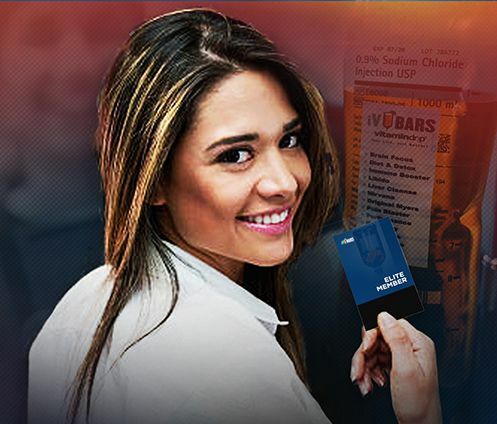 There is no other competitor in the United States that has formulated as many revolutionary recipes as iV Bars. We have a cocktail for everyone. Email Phone Number How Can We Help?